"Very friendly atmosphere created without any "must buy" pressure, which suited me very well." Read our customers' honest and impartial Nissan Leaf car reviews and ratings to easily find your next car at Motorparks. 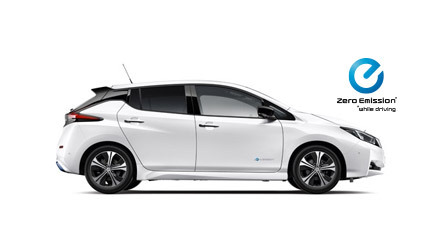 Nissan Leaf 30kw is an excellent car. Relaxing and quiet and responsive to drive. The larger battery in the Leaf 30 shows a better improvement in range than I expected. This is a great car, perfect for short commutes as long as there is a fuel car in the family for longer journeys. I will definitely continue to run an electric car from now on. It has all the necessary gadgets and more besides. Also it is quick to accelerate which surprises a lot of people! Financially this car worked out cheaper than running a second hand petrol car as I used to do. I would recommend this car to anyone as long as they take the limited range into account! I bought a Nissan Leaf 2018 model - I couldn't be happier with it. We bought a Nissan Leaf, an electric vehicle, and are still really excited about it. The silence of the EV is really cool. Main caution is whilst processing car purchase, process the fitting of the car charger in your home also, because that does take a while. Real fun car, loving it! We originally thought about an EV car to save fuel, but are now really impressed with actual driving. It is really smooth, comfortable and actually much more powerful than expected. Nice to be able to warm up our car by smartphones while having breakfast, which would save mileage too. Almost too good. I love my new Nissan Leaf, it is almost silent, luxurious and so easy to drive. I have been to several far off locations and re-charging is easy, quick and fuss free. The dealership made the whole process so simple, they were thorough and informative and were always quick to respond to questions. I have already recommended Warrington Nissan and the car.